Hey, not sure if you guys have found it yet (in Kihei) but The Coffee Store is a pretty good spot for coffee --- given the not-quite-up-to-portland-level coffee culture of Hawaii. Other than than, there's Maui Grown Coffee in Lahaina, which also has Livewire Cafe which I've heard is ok. I've had some great fish meals at Pita Paradise, also in Kihei. 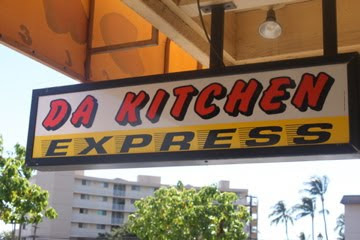 And there used to be a great fish taco truck just past Makena cove; it's probably still parked there. Hope you're snorkeling as much as possible. I've spent a lot of time in that water. Some great beaches on that coast!! And yeah, that was a great MNF game tonight! Speaking of fried fish. 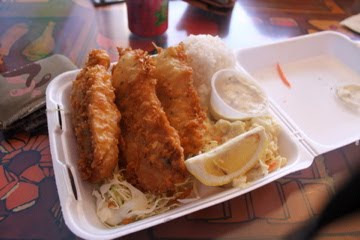 We really like Alexanders Fish N' Chips right on the strip in Kihei. You rock! Thank you so much for the coffee tips. I am off to check out The Coffee Store right now. I also heard about some place called Grandma's Coffee which supposedly grows and roasts its own. Best to you and your family...happy first day of fall!